Ace Bar Events Oxshott is a service strived for by those looking to organise the best possible event – corporate, private and charity events all included – and we at Ace Bar Events are happy to provide a full service including a number of bar counters from our collection, bar staff to serve at your event and equipment to increase the functionality of the bar hire tenfold – Mobile Bar Hire Oxshott. 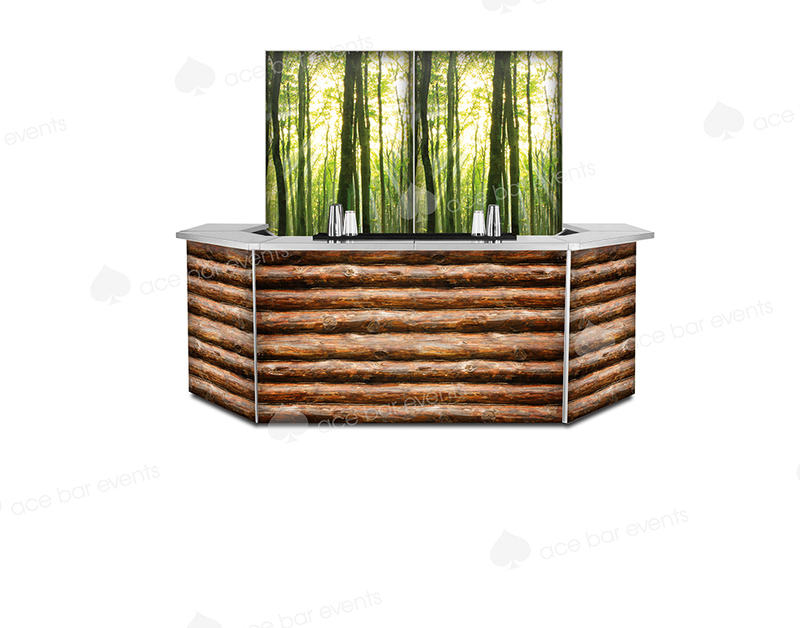 Among the variety of bars we have available for our Mobile Bar Hire Oxshott service are themed bars such as our Rustic and Chesterfield bars, both exquisitely designed to provide the best possible service for our customers. These are just two types of bar in our collection – both of which are themed – however we have a huge collection of bars ranging from our simplest basic bars to premium cocktail bars. This shows some of the huge range we have available in our collection of temporary bars for our customers to choose from – meaning that whatever theme you may looking for, we can help you out. Our Mobile Bar Hire Oxshott service is perfect for ensuring the highest level of functionality on whatever mobile bar you choose – and one way we make sure of this is by providing the highest quality of bar equipment. This equipment ranges from drinks dispensers and tills to bar sundries and glassware – providing our clients with a huge range of equipment to ensure that all the angles are covered. Our bar staff are another area of our mobile bar hire Oxshott service that many of our clients find to be ideal. Our staff are all trained in their own areas of expertise, meaning that whether you are looking for bartenders to serve your favourite beers, wines and spirits or cocktail mixologists and flairers to mix and serve your favourite cocktails, we’ve got you covered. Our staff are consistently ideal for numerous events – allowing you access to professional bar staff wherever you need them. Ace Bar Events Oxshott has grown in popularity as many are looking to add that extra touch to their function. Each of our customers is given a five star service from initial enquiry until the final moments of the event with an account manager to talk them through different options available. If any of our Mobile Bar Hire Oxshott service interests you then please feel free to get in touch and we would be glad to help you out!